Companies must start looking at solution providers with end-to-end propositions, says Gary De Menezes, country GM for sub-Saharan Africa at Micro Focus. When Kodak went bankrupt a number of years ago, many speculated on what happened. It was much lamented how the company missed the digital photography revolution, even though this was once handed to it on a platter. But, there is more to the picture. In an article written at the time by Harvard Business School Professor John Kotter, he noted that Kodak even brought a tech-savvy CEO in during the 90s. Yet this didn't prevent disaster. What was the problem? Kotter put it down to complacency: even though Kodak had a visionary leader and a smattering of forward-looking people in its hierarchy; ultimately, the general culture of the business prevented any meaningful change to happen. Why? Because such change requires a bit of gambling and risk-taking. To truly change gears, the entire hierarchy should have been shaken up. Yet, while Kodak had a very specific fly in its ointment, that of digital photography breaking its traditional product lines, all businesses face this problem in one shape or another. Despite the best intentions around adopting new technologies, they cannot keep up, explains Gary De Menezes, Country General Manager for sub-Saharan Africa at Micro Focus. For every business problem they solve with a solution, three new solutions and five new problems pop up, fueled by a fast-changing landscape. "Today, retailers aren't retailers anymore, banks aren't banks, etc. Retailers are banks and banks are retailers. Now you see companies breaking out of traditional areas of business and realise the value of owning the loyalty of customers. All businesses now want to grow in non-core areas, because they are saturated. So business needs have quadrupled. But IT is still only able to adapt as fast as it used to. The demand of the business far outstrips what IT can do." What does this have to do with stagnant hierarchies? The answer lies in looking at solution providers with end-to-end propositions. Companies such as Micro Focus have used R&D and acquisitions to create a broad church of services that increase the speed at which solutions can be delivered while providing customers with a single point of contact. This is not a nice differentiator, it's a requirement, or businesses simply could not keep up with the complexity of managing different point solutions. Though the technology industry is making the right changes, there is a deep reluctance from companies to do the same. Instead, they still treat technology as the responsibility of a single business unit, IT, and yet expect to evolve. That is a classic example of complacency. 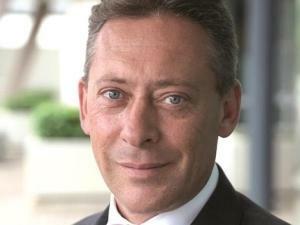 "There are some intrinsic challenges in how the new vendors engage with the old customers. Many corporations in South Africa are still structured as they were 20 years ago, where people are still driven by budgets. If you are driven by a budget, you will only look for opportunities and efficiencies in your little scope of what you can spend." But, such attempts at maintaining the status quo is not the kind of verve required to make technology meaningful. In order to get the 20-times return, you may need to spend three times as much as before in investment. Those are tough decisions to make, ones that cannot continue to be lumped on specific individuals or chained to a project mindset that limits the scope and budget required. As Kodak's example showed, even a forward-looking CEO is not enough. After all, no strategy ever works without execution and adjustment. All hands might be on deck, but are they in the right positions to help change the ship's direction? "The board expects the CIO to meet the technology challenges, as if the rest of the business is unaffected and only benefits from the warm glow of new technologies. That expectation is what is failing. You need more board members who are technology aware, who are going to drive the transition and be collaborative on what they drive." It's very common to hear technologists complain about the many battles they have to fight with different business units and department leaders. This is not their job; they are not the stewards of digital transformation, but many still think so because they are still precious about their comfortable business habits. Progressive companies tend to create new offices with specific mandates that give them broad powers to influence major change. Some businesses even go as far as to completely re-organise their structures. Netflix is famous for employing people only as long as they are needed, even senior and c-suite executives. "We always talk about cutting the fat in a company, but that usually means we're getting rid of low-level employees or certain extravagances. This time it's different: if the digital project is not getting anywhere, it's time to address the structures themselves." The world has changed, yet corporations believe they can still rely on the same structures that worked for decades. But it doesn't: just ask Kodak, a company that went from $10 billion in sales in 1981 to struggling to turn a profit since 2007. If other companies don't want to suffer that same fate, it's time for them to change their structures in order to truly embrace technological advantages.